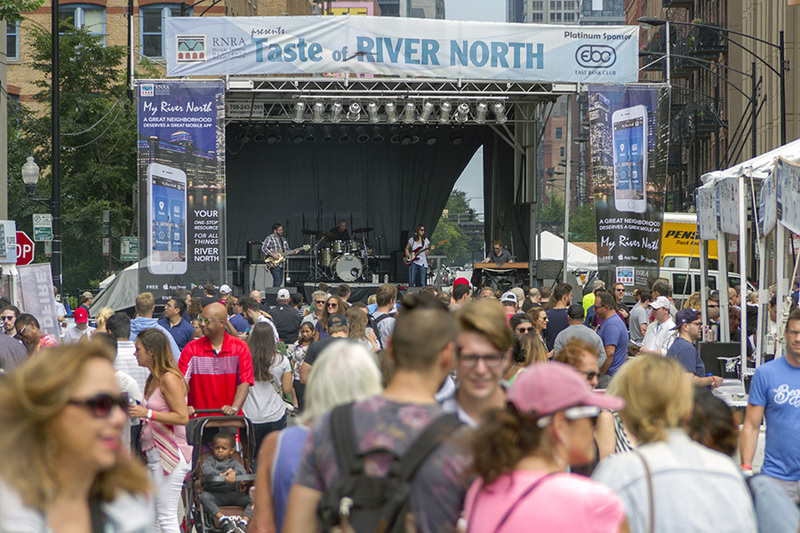 The River North neighborhood will dazzle once again when its signature food and cultural festival, the Taste of River North, takes place for the 18th consecutive season. With its unique location in Ward Park, this colossal summer party differs from the typical Chicago street festival. 30,000 plus are expected to gather in the picturesque green park setting next to the Chicago River to taste some of River North’s most dynamic cuisine and rock out to party jams. The festival includes attractions like an Art & Wine Walk, non-stop live music, delicious local cuisine, a kid’s activity area, a dog-friendly activity area, local artisans and merchants and morning exercises to prep the body for the River North good life.